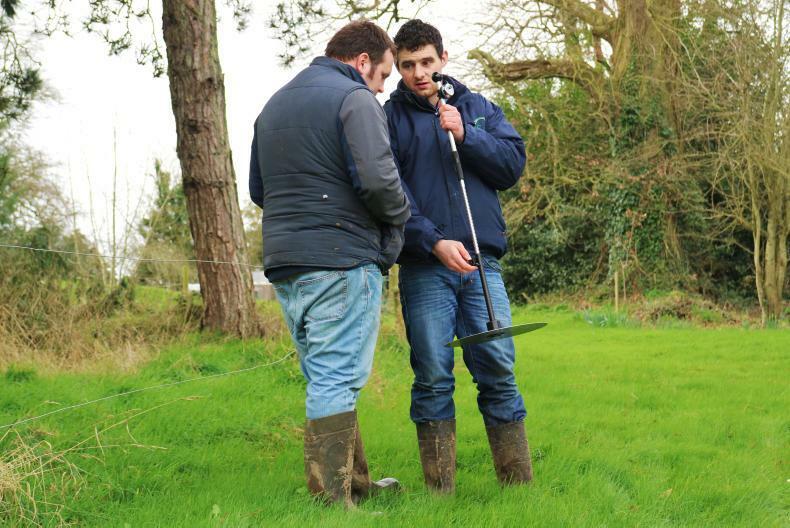 Matthew Halpin visited Martin O’Hare in Louth, where calving and grass were the main topics of discussion. 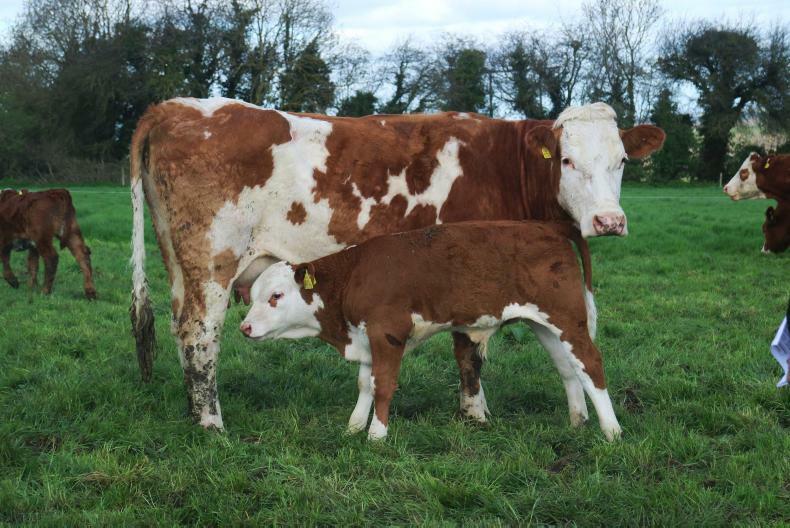 Eighty-two cows are due to calve this spring. 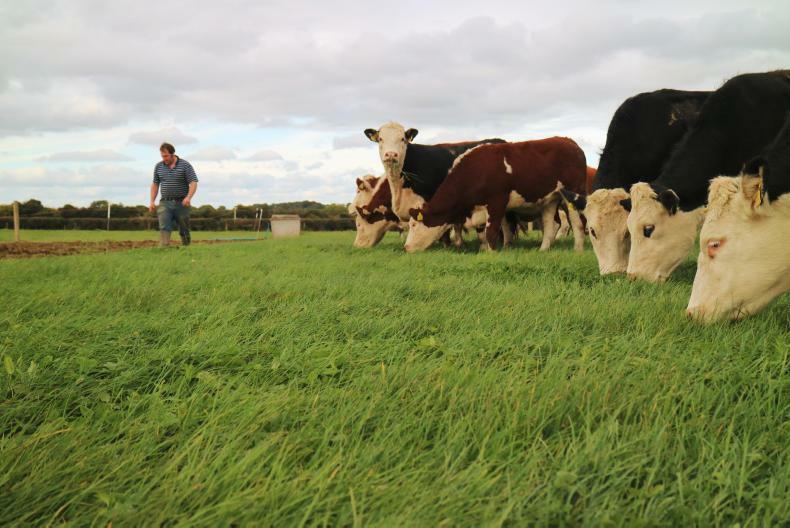 Martin O’Hare is the Louth representative in the Teagasc/Irish Farmers Journal BETTER farm beef challenge. 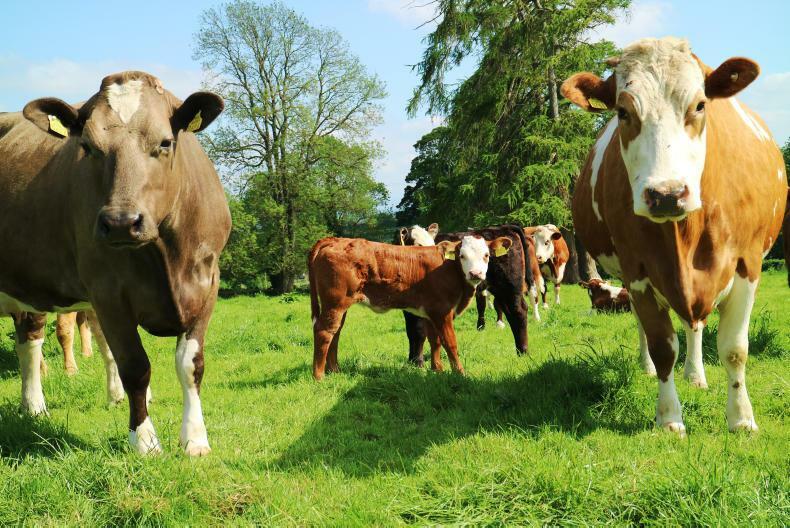 Located close to Dundalk, the farm is comprised of just over 47ha of grassland and just over 10ha of crops. The proportion of grassland has increased since the beginning of the programme. All land could be described as top-quality and free-draining. On these 47ha, Martin is running a herd of 100 suckler cows. Calving is split roughly 75:25 between spring and autumn. 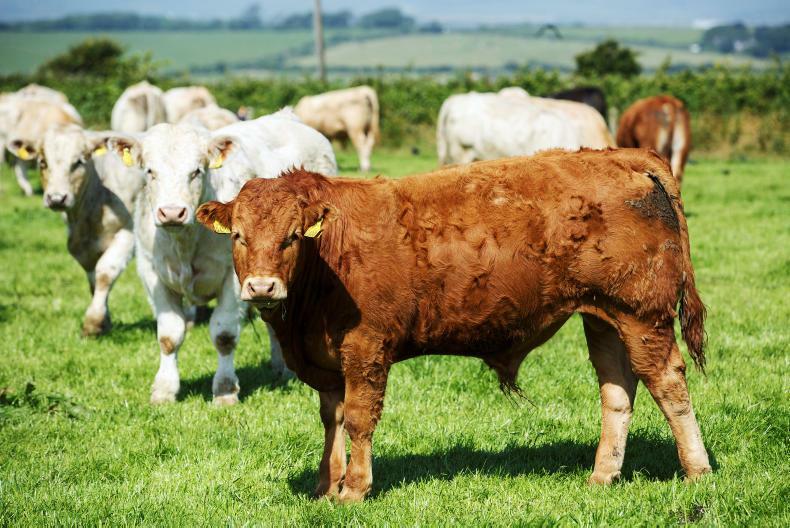 A further 20 to 30 store cattle are also purchased each year, bringing stocking rate to an impressive 3.1LU/ha – a target set by the BETTER farm management team and local Teagasc adviser Hugh Rooney. 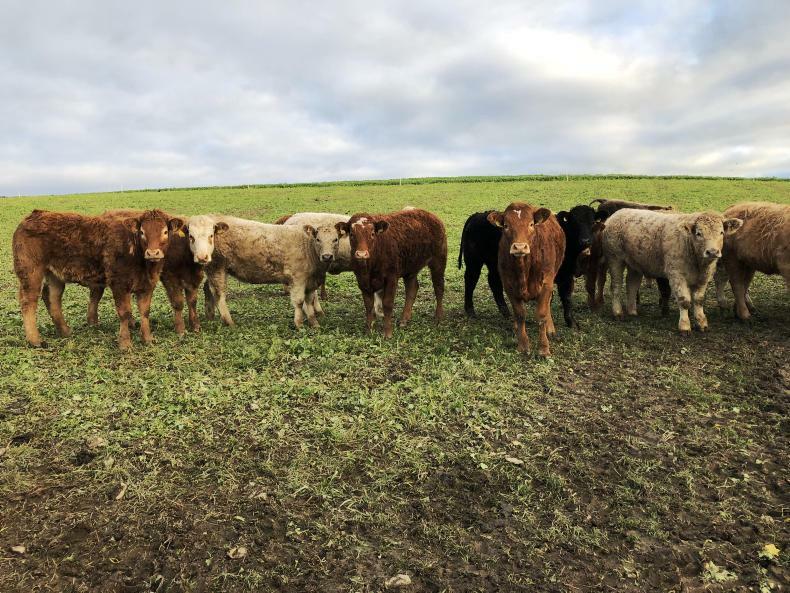 The farm is currently operating an all-beef system, with bulls being slaughtered under 16 months of age and heifers slaughtered at 24 months of age, apart from replacements. At present, Martin has 82 animals to calve this spring. Preparations are in full swing for calving, with close attention being paid to the dietary and health requirements of the herd. The calving gate is ready to go. Last year’s calves are performing exceptionally well. 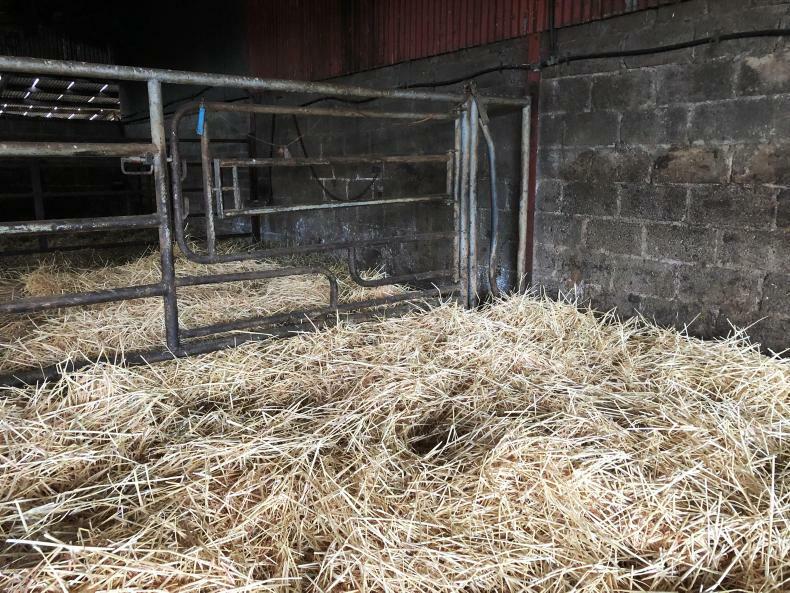 The 30 bull weanlings are indoors on slats, receiving high-quality 73 DMD silage, a small allocation of straw and 6kg to 7kg/head/day of ration. When weighed just after Christmas, the average weight of the group was 423kg, representing an average daily gain of 1.2kg from birth. The plan for these bulls will be to push meal feeding up to ad-lib by the middle of February for slaughter 100 to 120 days later around 1 June. Spring 2018 heifers were kept outdoors all winter on a GLAS catch crop. Performance of these heifers has been exceptional, greatly helped by the perfect out-wintering weather conditions. Heifers out-wintered on a GLAS catch crop. With 37 heifers in the group, some will be picked out as replacements, while the rest will be for sale. 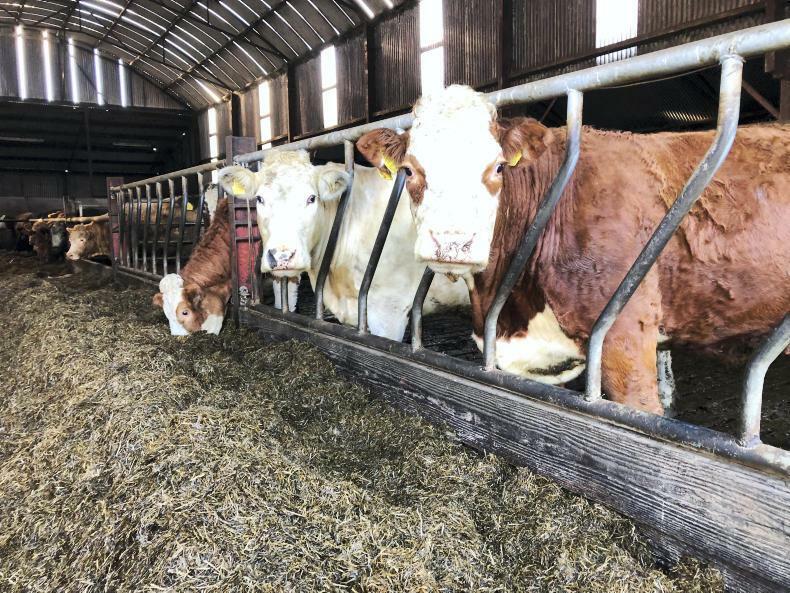 While all surplus heifers have traditionally been taken through to beef, Martin may look at the possibility of selling some surplus heifers as stores at one year old. Heifers are supplemented with silage and ration. After walking the farm last week, early grass prospects are excellent. Roughly half of the farm has strong grass covers. These strong covers will be spread with 0.5bag urea/acre and targeted for early grazing. On heavy covers on the home block, the plan will be to turn out newborn calves and cows, if conditions allow. 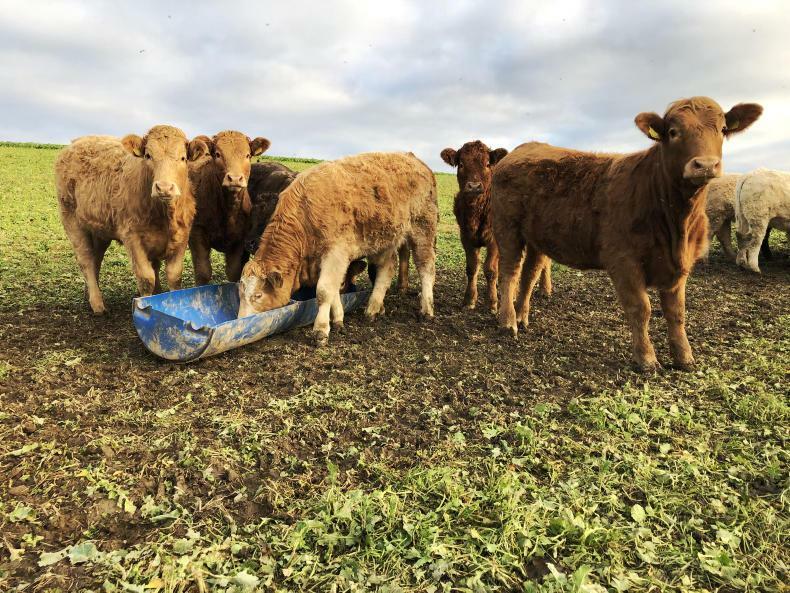 On the out blocks, Martin hopes to use his 21 autumn cows and calves and his 2018-born weanling heifers to do all of the early grazing. On the lighter covers, slurry will be applied. By the time the heavier covers that received urea are grazed, those fields that receive slurry now should be fit for grazing then. Lighter or poorer covers will receive slurry. 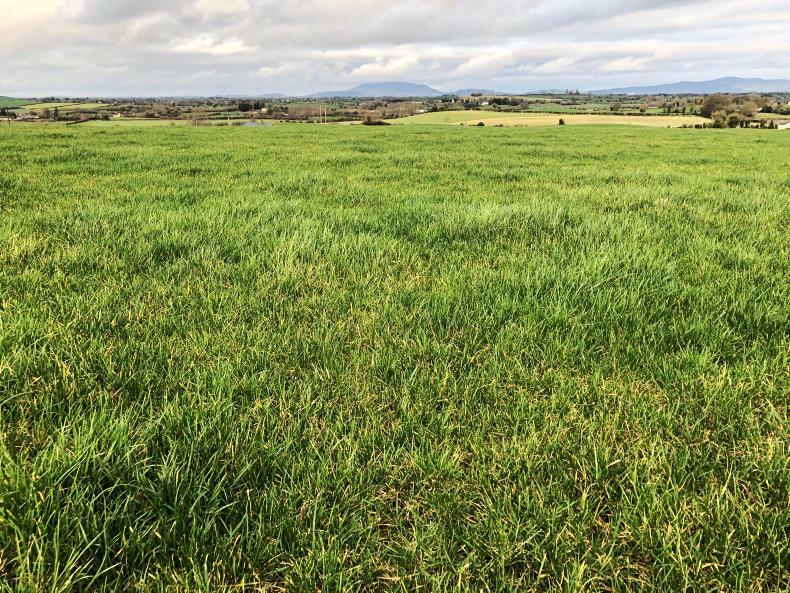 Looking further down the line, Martin will hope to close up his silage ground in the first week of April to meet his projected end of May cutting date, which will require all silage ground to be grazed tightly prior to this. Of course, all of this is very much weather-dependant, but, at the same time, it is important to have some plan in place when it comes to grassland management. After all, you can only play with what’s in front of you. For more on how Martin is preparing for spring calving, see this week's Irish Farmers Journal in print and online.